A young man testified against his friend for much of the day Friday, during the trial of a suspect in an April shooting in Twain Harte. Eric Haddan’s testimony was part of a deal prosecutors struck with him, after he was also charged in connection with the crime. Dyer, 22, following a punk rock concert in Eproson Park. to dart toward Walther a couple times. Haddan retraced April 11’s events during Deputy District Attorney Eric Hovatter’s questioning. It was Walther, asking Haddan to pick him up from the concert. at the head of a trail leading into the park. under passenger seat and said he’d be right back, Haddan said. “I told him whatever he does is on him,” Haddan said. Hovatter asked him why he didn’t stop him. “I figured he wanted to beat him up or put a gun to his head, make him scared, so I went along with it,” he said. Haddan offered Pello a ride, but he declined. “Yes, I wanted a reason to leave,” Haddan said. “It would have,” Haddan said. Shortly after Walther left, Haddan heard six gunshots, a pause, then two more. Walther reappeared and got in the car. be on probation for five years. Stewart concentrated on in his cross examination. He asked about his white Cadillac, suede gloves Haddan said he often wore, and the gun. “You drive around with a gun in your car, in a lowered Cadillac, with gloves on. You weren’t a wanna-be gangster?” he asked. Haddan replied that it didn’t feel that way. robberies, he told Tuolumne County Investigator Eric Erhardt. There are other holes in the story, Stewart said. “How on earth does Brandt Walther allegedly know that Too Tall is waiting in the bleachers?” Stewart asked. Stewart asked if Haddan was still incarcerated, to which he replied no. After Haddan was arrested, he waited three months to come forward with his story. “I think it would be easier to go to prison than come up here today,” he said. “It just seemed like everyone was pointing the finger at me,” Haddan said. The trial will continue Wednesday. 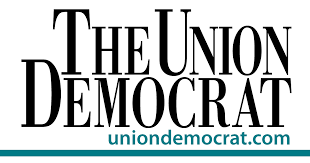 Contact Alisha Wyman at awyman@uniondemocrat.com or 588-4526.